This month, the remaining small-scale DAB trial multiplexes are due to launch joining the already running trials in Brighton, Manchester and Portsmouth. These will provide listeners with additional stations on DAB digital radio. Gold has returned to DAB in Ayr, Birmingham, Bournemouth, Cambridge, Cornwall, Exeter/Torbay/North Devon, Kent, Manchester, Norwich, Peterborough, Plymouth, Reading/Basingstoke, Southend/Chelmsford, Sussex Coast and Swindon following the removal of XFM on 14th September. Barrow: new coverage to 6,700 homes in and around Barrow-in-Furness, Cumbria. Brixham new coverage to 5,700 homes in and around Brixham, Devon. Coppid Beech: improving coverage for 120,000 homes in Wokingham, Bracknell and surrounding areas. Ramsey: new coverage to 3,900 homes in and around Ramsey on the Isle of Man. Whalley: new coverage for 3,200 homes in Whalley, Clitheroe and surrounding areas of the Ribble. Cornwall and Plymouth: Pirate Oldies is now testing on the Cornwall and Plymouth local DAB multiplexes ahead of a full service launch on 01/10. Escape to Cornwall is expected to appear on the Cornwall local DAB multiplex next month. Norfolk: The Beach will cease to broadcast on DAB at 11:59 on 28/09/2015. The DAB carriage contract has come to an end and will not be renewed. South East Wales: Bridge FM has replaced Nation Hits for listeners in and around the Cardiff and Newport area. Brighton: VHF Block 9A: The multiplex is live. Birmingham: VHF Block 9A: The multiplex is live. Bristol: VHF Block 9A: The multiplex is live. Cambridge: VHF Block 7D: The multiplex is live. Glasgow: VHF Block 10B: tests start 29/09. London: VHF Block 9A: test transmissions now on air. Manchester: VHF Block 10B: The multiplex is live. RTÉ Radio 1's inclusion in the trial is, as first revealed by a516digital last month, subject to regulatory approval by Ofcom. Norwich: VHF Block 9A: The multiplex is live. Portsmouth: VHF Block 7D: The multiplex is live. Listing of stations available here. Local DAB services, including BBC Radio Norfolk and Heart Norfolk have changed frequency from VHF Block 11B to 10B, as of the 9th September 2015. LINCOLNSHIRE - test transmissions for the new local DAB multiplex, which will bring BBC Radio Lincolnshire and Lincs FM have appeared on VHF block 12A in the county. The multiplex launches 1st October. Global Radio has announced the roll-out of DAB/FM linking in all areas in association with multiplex operator Arqiva. 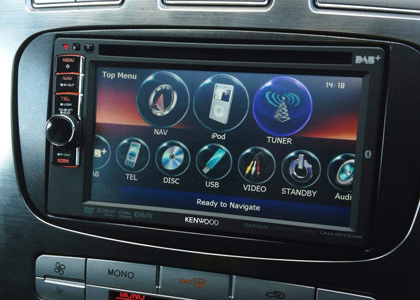 The technology allows car radios to automatically switch between different local radio stations that are part of the same network as they travel around the country. The move affects Capital, Heart and Smooth, which are broadcast on numerous local DAB multiplexes and FM frequencies across the UK. The technology has been developed and implemented by Global and Arqiva so that both digital radio receivers and FM receivers automatically transition between different Heart, Capital and Smooth local stations, picking up the best DAB or FM signal available, and automatically switching over to the next transmission area as a driver passes from one area to the next. The innovation means drivers will no longer have to manually switch between networked stations as they drive around the country. In the Netherlands, all regional DAB+ multiplexes are on air. Additionally, coverage boosts around the country are making Dutch DAB+ stations available to most of the population. Dutch public broadcaster closed down its Medium Wave transmissions as part of its move to digital broadcasting. If you have a DAB digital radio update, please get in touch, via the contact link at the foot of the page. Stay informed: This page will be updated throughout the month with any further developments. On occasion, changes to DAB services are not made available in advance. Ofcom may limit information about multiplex changes due to commercial reasons. In some cases, Ofcom doesn't publish official documentation under after the changes have been made and recorded.